ASAN service, an innovative Azerbaijani model of public service delivery, will also be established in Afghanistan. A memorandum on creating a public service delivery mechanism in Afghanistan based on Azerbaijani model was inked as part of the Azerbaijani delegation's visit lead by Chairman of ASAN Inam Karimov on July 12-13. 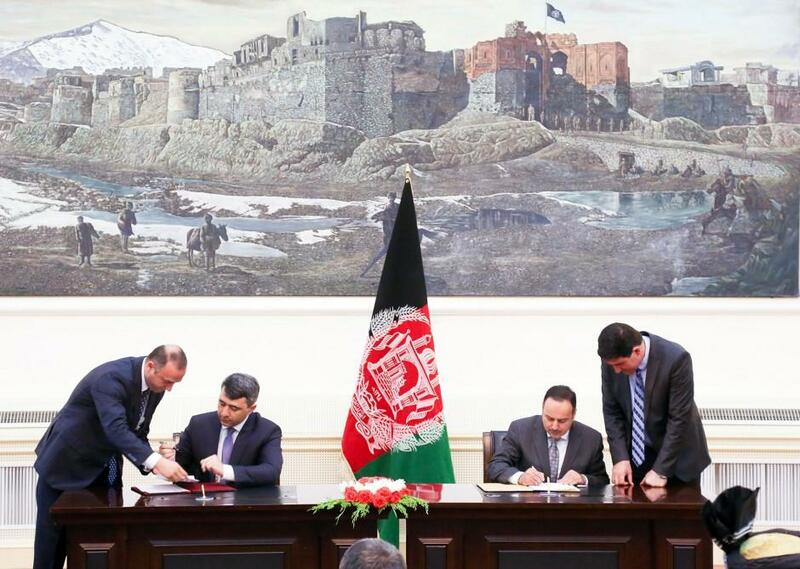 The document was signed between the ASAN and Finance Ministry of Afghanistan. The signing ceremony brought together the Afghan ministers, MPs and other high-ranking officials. After the ceremony Karimov spoke about the friendship and partnership relations between Azerbaijan and Afghanistan. He hailed the recent successful reforms carried out by the Azerbaijani President Ilham Aliyev in economic, social and public administration areas and the activities of "ASAN Xidmet", which he described as “part of these reforms”. Afghan Finance Minister Eklil Ahmad Hakimi, praising their choice of Azerbaijani model in public service delivery, expressed his confidence that it would be successfully implemented in the country. He noted that the organization with the same name (asan.gov.af) had already been established in Afghanistan. ASAN Service center was established by the presidential decree in 2012. The Service which already has nine centers across the country provides a venues for state agencies to render their services in a uniformed and coordinated manner. The service could reduce extra expenses and loss of time for many citizens, upgrade the level of professionalism, ensure a larger use of electronic services, increase transparency and strengthen the fight against corruption. The is becomig more authoritative day by day, thus contributing to the state-citizen relations by quality service to people. The center has been recently authorized in issuing visa for foreigners. Visas will be issued online within three days without applying to state organizations, which makes life for many foreigners wishing to visit Azerbaijan easier. Services of ASAN also cover customs procedures, which has recently switched to the electronic declaration of goods and transport. By means of the Asan Imza mobile e-signature, citizens can promptly convey imported goods and transport means across the customs borders under the institution of customs mediation. The use of Asan Imza in customs e-declaration of goods and transport means will increase the quality, convenience and accessibility of this service for the citizens. The persons declaring their goods at the customs borders only need to have their mobile phone with inserted SIM card supporting Asan Imza to perform the whole process of customs e-declaration.